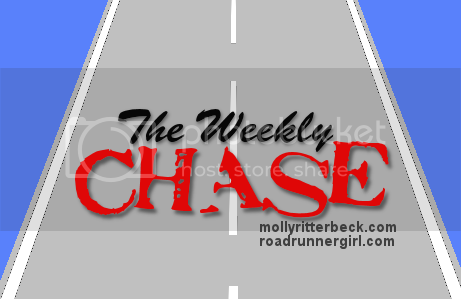 Road Runner Girl: The Weekly Chase #146! Happy Monday y'all! It's going to be a rainy two days here. We are under a flash flood watch from the remnants of Hurricane Patricia. I'm hoping and praying it doesn't interfere with my runs too much! We had a great weekend! I just LOVE weekends don't you? Friday afternoon we took Sawyer to gymnastics and then Andy, Hayden, and I set out for some shoe shopping for the boys. But first...Starbucks of course! Hayden was so excited because I treated him to the pumpkin cookie that he's been eyeing for weeks. He said it didn't disappoint! After shopping we picked Sawyer up from gymnastics and then headed to Mellow Mushroom for a pizza dinner with our friends Kirstin, Jim, and Maddy! It was so yummy! And we needed that pizza fuel for the Turkey Trot 5K the next morning! Saturday morning I ran the Turkey Trot 5K! And I ran a new PR AND placed second in my age group!!! I'll do a race recap on Wednesday! Saturday afternoon Andy and Jim went to play golf and Kirstin and I took all the kids and went shopping! I found a ton of great deals on some clothes which made me super happy!!! And of course we had to have Starbucks too! And look what I FINALLY found at Target!!! Monster Cereal!!! I wait ALL year for this cereal! I LOVE it!!! I haven't been able to find it so to say I was excited is an understatement lol! After shopping and when the boys got done golfing we all went and ate Mexican food together. I got a burrito with chicken and mushrooms and smothered in cheese sauce and pico. If I'd known it was as good as it was I would have taken a picture! So yummy!!! The rest of Sunday was spent doing chores around the house and getting ready for the next week. Goal #1: Run every day! Yes! I kept the streak alive even though I was sore from my half marathon last weekend! 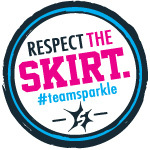 Goal #5: Run at least 1 run under 2 miles. Yes! I made sure to take it easy this week for recovery. Goal #1: Run every day! Definitely plan to keep the streak alive. I'm hoping the rain (flash flood) isn't too bad so I can get out there! Even so...I'll find a way!!! Goal #2: Roll, stretch, and ice daily. Gotta stay injury free!!!! Please!!! Goal #3: Maintain my weight by logging my calories. The key to maintaining for me is staying accountable! Goal #4: Move 11,000 steps or more each day this week. I LOVE moving this much in a day! Goal #5: Run at least 1 run under 2 miles. These little recovery runs really help. So those are the goals I'm chasing this week! Good luck with your goals as well! QOTD: What goals are you working on this week?